Deputy Minister: rumors of Netanyahu's statements about Jews in a Palestinian State demand a harsh response. An investigation has been launched into the Prime Minister's Office (PMO), Deputy Foreign Minister Ze'ev Elkin stated to Arutz Sheva Monday, over the reports that the Prime Minister Binyamin Netanyahu has suggested leaving Jewish communities under Palestinian Authority (PA) jurisdiction in the event of an interim agreement. The report first surfaced Sunday, when an anonymous source close to the PMO revealed to reporters that Netanyahu has pushed for Jewish communities to be allowed to remain in a Palestinian State if they choose to do so. The report caused considerable controversy, angering PA officials and nationalists alike. PA officials declared that no "settler" would be allowed to remain; nationalist MKs, including Economics Minister Naftali Bennett (Jewish Home) and MK Moshe Feiglin (Likud), expressed outrage at the implied disregard for the safety of Israeli citizens. Sources close to the PMO claim that the leak was intentional, to reveal to the international media the PA's real hatred for the Jewish people. Now, Elkin said, an investigation is being launched to discover with reporter irresponsibly leaked information on the Prime Minister's plans to the press. PMO sources revealed to Elkin that the leak probably stemmed from someone who viewed him or herself as close to Netanyahu, but whose perception has no basis in reality. As such, Elkin maintained that it is the PMO's responsibility to publish a flat-out rejection of the reports as severely delusional. "It doesn't matter who revealed the plan," Elkin stated, "the report deserves a strong and serious response." The PMO's response will provide evidence of how accurate the report is, according to Elkin - who also noted that the Jewish people cannot be safe in the hands of those who aided the infamous 2000 lynchings in Ramallah. 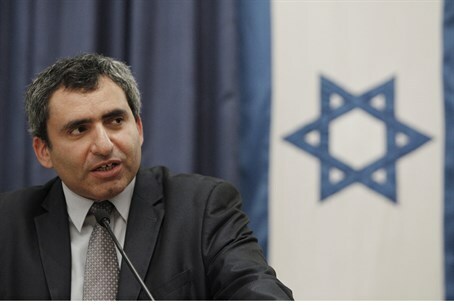 Elkin also noted that the report contradicts principles fundamental to Likud - and that a response would be sorely needed to keep the party, and the coalition, from falling apart. Rumors already abound that certain Likud members are planning a "rebellion" of sorts, with several party members claiming that Netanyahu's actions during the peace process have endangered Israel's security and put lives at risk. The MK remains skeptical over claims that the leak was intentional. "There is no need for a special campaign to reveal that the PA wants its state to be free of Jews," Elkin maintained. "Tactical value is lost when you reveal [plans like these] to 'loose lips.' It is for this reason that the PMO needs to issue a flat denial - whether or not the reports or true, what was said is grave and terrible."